Did you know that more than half a million Americans live in Washington DC and do not have congressional voting rights? That’s right, DC was established by our forefathers as a federal district to be governed by Congress and 660,000 residents of our nation's capital do not have democratic representation in the U. S. Senate or the U.S. House of Representatives. People who live in DC pay the second highest per capita federal income taxes in the country but have no vote on how the federal government spends their tax dollars and no vote on important issues such as ​healthcare, education, Social Security, environmental protection, crime control, public safety and foreign policy. 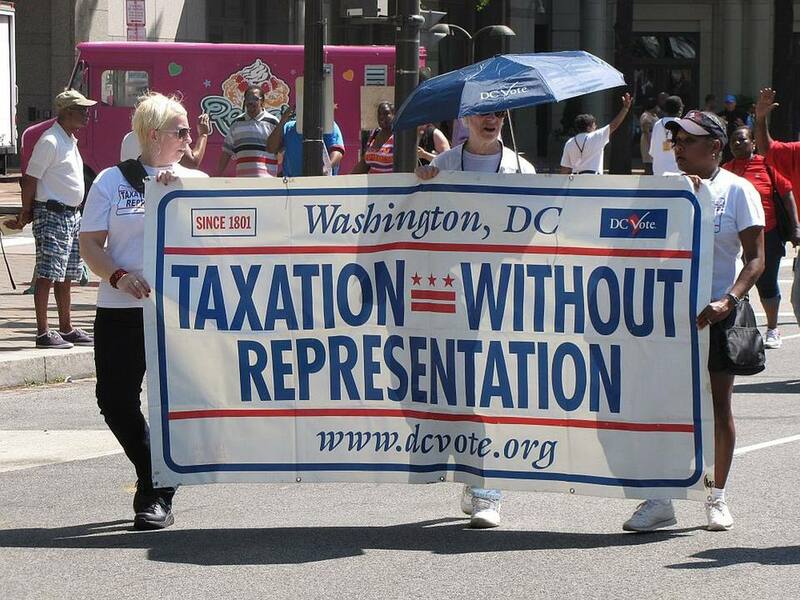 An amendment to the Constitution needs to be passed to give DC voting rights. Congress has passed laws to modify the DC government structure in the past. In 1961, the 23rd Constitutional amendment granted DC residents the right to vote in Presidential elections. In 1973, Congress passed the District of Columbia Home Rule Act giving DC the right to a local government (mayor and city council). For decades DC residents have written letters, protested, and filed lawsuits striving to change the city’s voting status. Unfortunately, to date, they have been unsuccessful. This is a partisan issue. Republican leaders will not support a local referendum because the District of Columbia is more than 90 percent Democratic and its representation would benefit the Democratic Party. Lacking representatives with voting power, the District of Columbia is often neglected when it comes to federal appropriations. Many of the District’s decisions are also at the mercy of right-wing ideologues in Congress, and as you can imagine, they don’t show very much of it. Everything from commonsense gun laws to providing women’s health care and efforts to cut down on drug abuse has been halted by Republicans, who claim the District is an exception to their long-held notion that communities ought to be able to govern themselves. Founded in 1998, DC Vote is a national citizen engagement and advocacy organization dedicated to strengthening democracy and securing equality for all in the District of Columbia. The organization was formed to develop and coordinated proposals to advance the cause. Citizens, advocates, thought leaders, scholars, and policy-makers are encouraged to get involved and participate in their events. Is the District of Columbia a State?